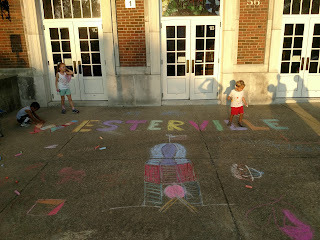 I was asked by the Arts Council of Westervilleto help out with the Passport to the Arts for Fourth Friday this year. 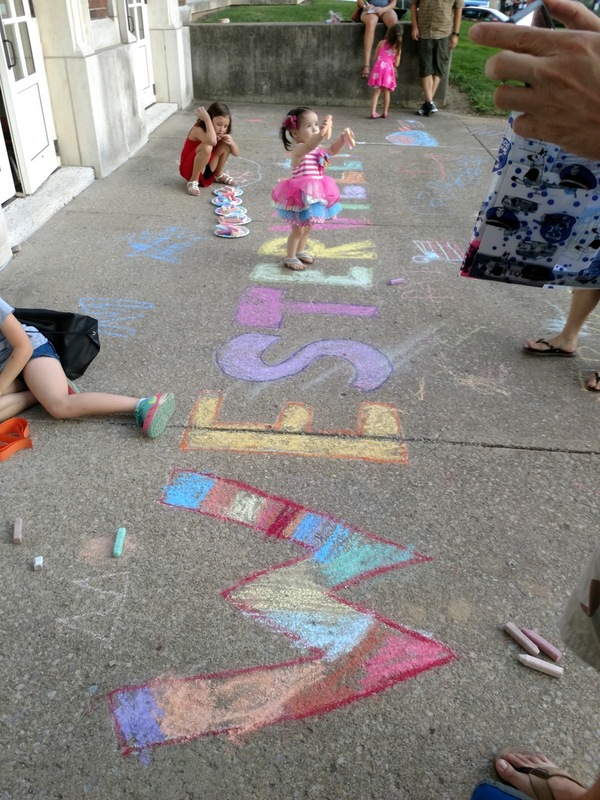 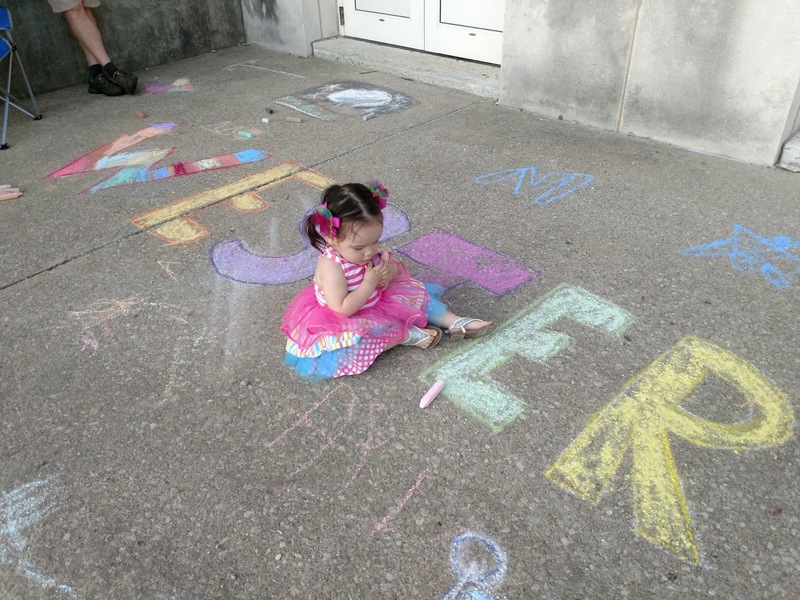 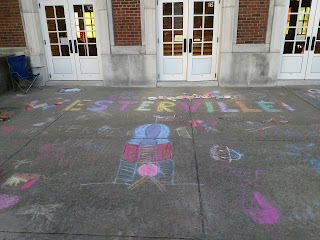 Along with other arts activities they did a chalk art station. 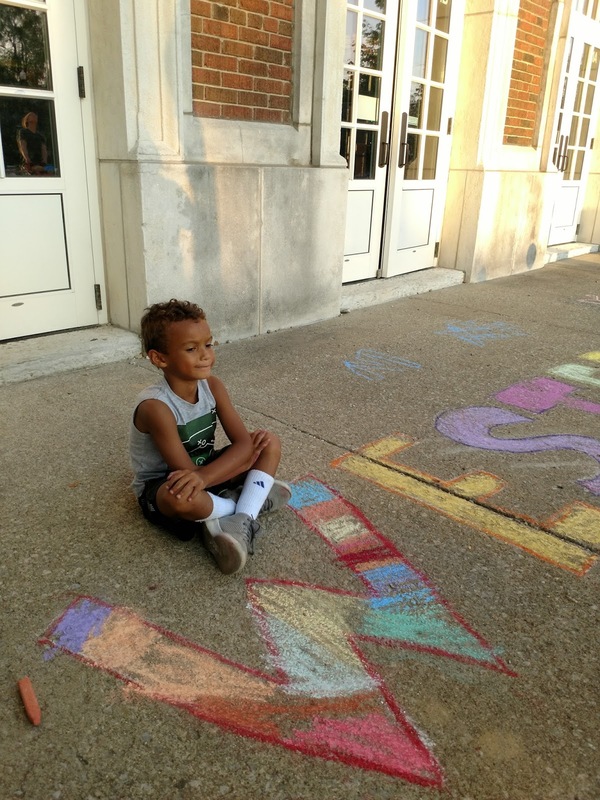 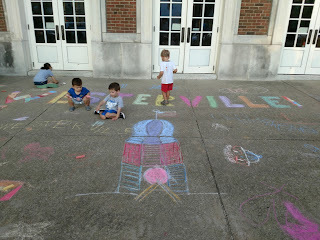 After doing a quick drawing, I just sat back and watched the kids enjoy working with the chalk! 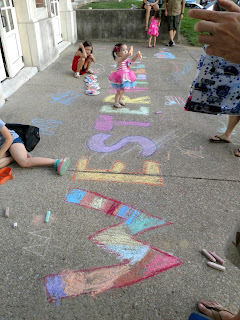 It was a really hot, but enjoyable, evening. 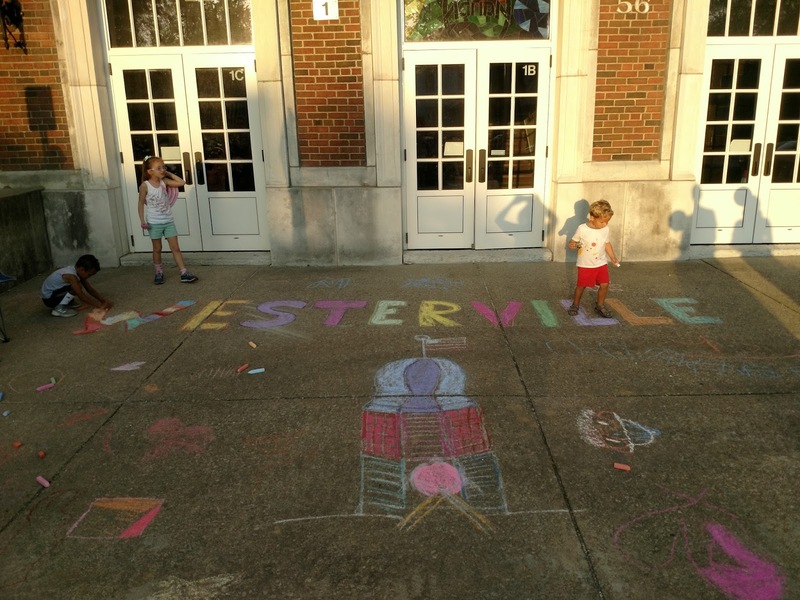 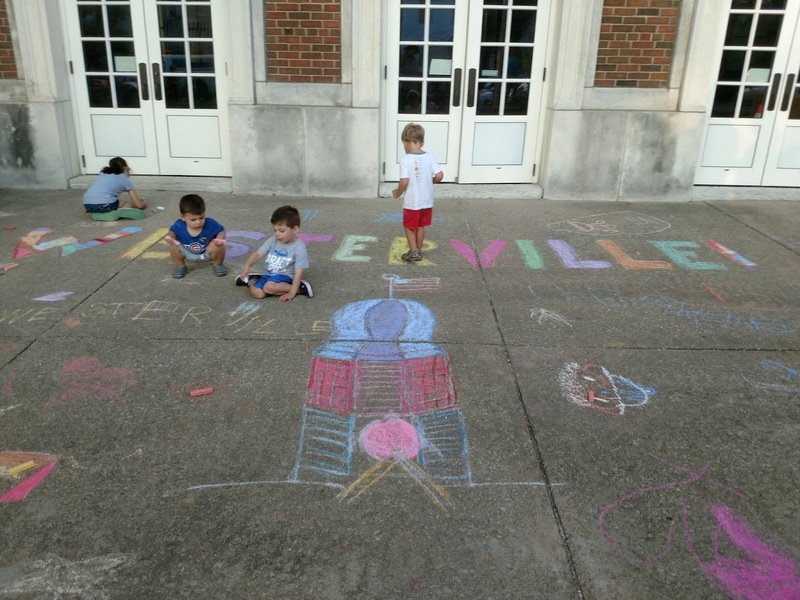 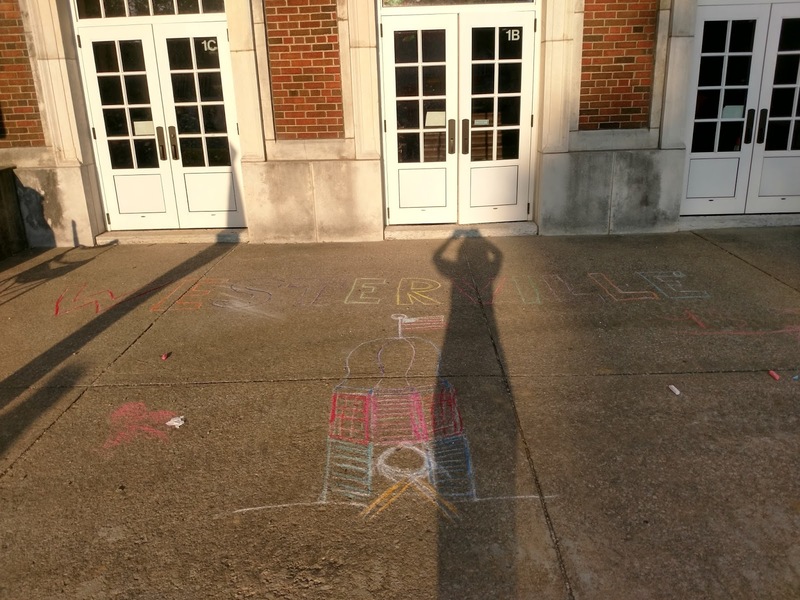 I wrote "Westerville" in big block letters and drew a picture of the Westerville City Building tower in the hope that the kids would color them in. 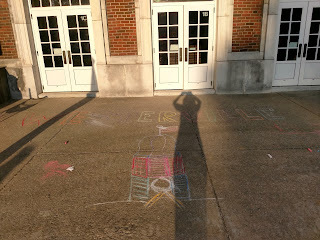 Mostly the kids just wanted to do their own thing.Which was fine, so I just filled in the letters and the drawing my self. 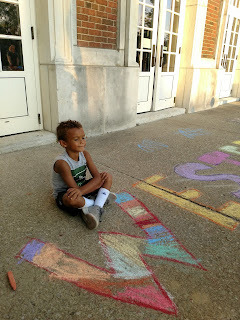 He did help me color the "W." He wanted to be certain that he got every color in it! She was so cute and matched the letters too! 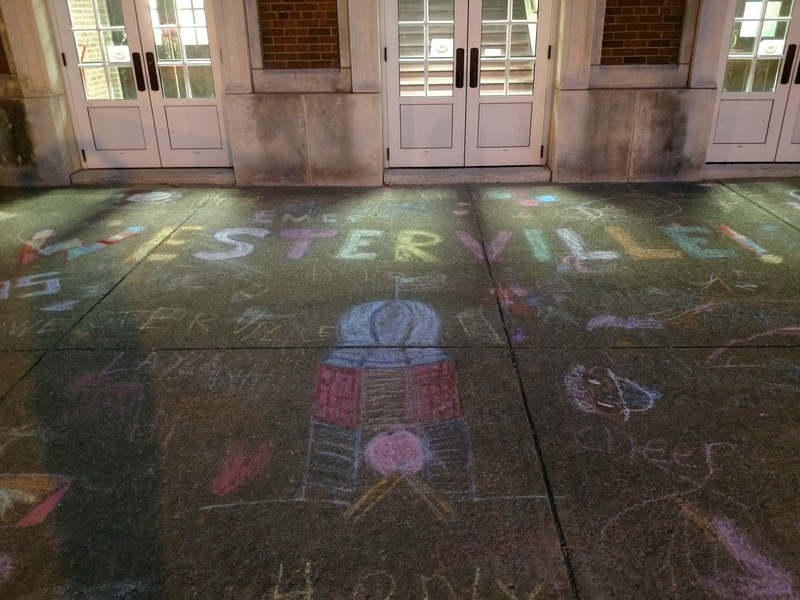 At the end of the evening! Stopped by a few nights later and it still looked great with all the kids' drawings all over!